You can easily copy content in Reader unless the PDF author has applied security settings that disallow copying. Open the PDF document in Reader. Right-click the document, and choose Document Properties. 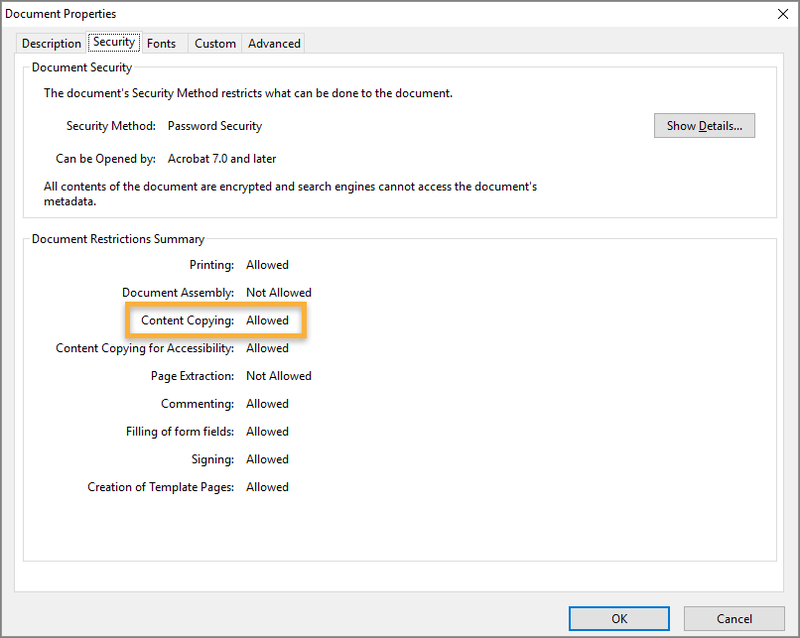 Click the Security tab, and review the Document Restrictions Summary. Open the PDF document in Reader. 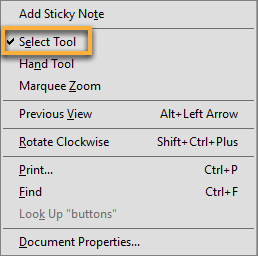 Right-click the document, and choose Select Tool from the pop-up menu. Drag to select text, or click to select an image. Right-click the selected item, and choose Copy. The content is copied to the clipboard. In an another application, choose Edit > Paste to paste the copied content. Open the PDF document in Reader. 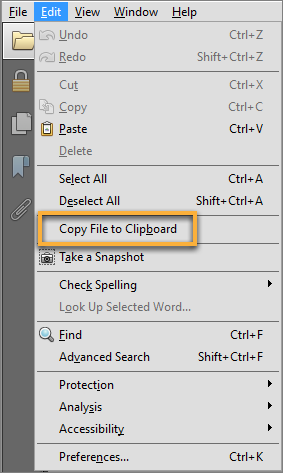 Choose Edit > Copy File to Clipboard. The Snapshot tool copies an area as an image that you can paste into other applications. Drag a rectangle around the area you want to copy, and then release the mouse button. Press the Esc key to exit Snapshot mode. In another application, choose Edit > Paste to paste the copied image.